The Richmond Public Library's mission is to inform, enrich, and empower Richmond residents. The library lends books, sound recordings, scores, pictures, CDs, video tapes, DVDs, and books on CD. 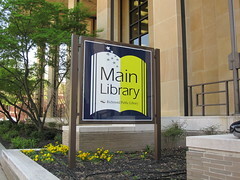 In addition to lending materials, the library offers reference material, wireless Internet access, computer classes, and public use of computers, fax, and notary services. Meeting rooms are also available to use by government and educational entities, non-profit organizations, and student study groups. 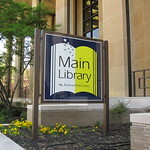 The Richmond Public Library is a multidisciplinary venue, which offers free concert performances and showcases the work of local and regional artists in four gallery spaces. The library also houses the David Freed Gallery, which features the Library's permanent collection of prints of renowned authors created by legendary Richmond artist David Freed.